Trump blasted France over its near defeat to Germany in two world wars, its wine industry and Emmanuel Macron's approval ratings. In five posts sent on the same day that French officials marked the anniversary of the 2015 terrorist attacks that killed 130 people in Paris, Trump blasted the key US ally over its near defeat to Germany in two world wars, its wine industry and Macron's approval ratings. On Tuesday, Trump cited Macron's "low approval rating" and unfair trade practices, and defended his absence from a commemoration event on Saturday saying the US Secret Service had vetoed driving to the venue due to poor weather. 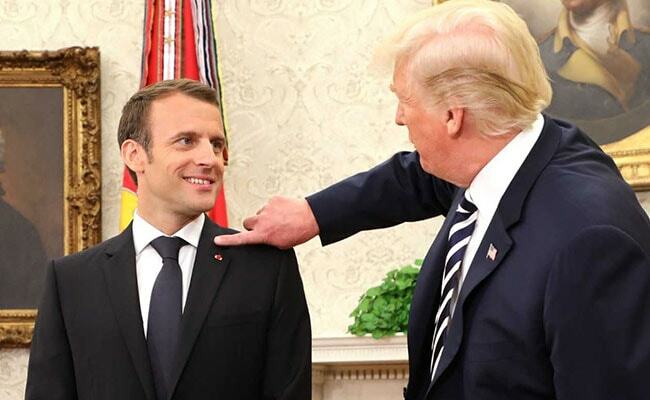 Trump pointed to Macron's recent comments about Europe's need to protect itself, writing that "it was Germany in World Wars One & Two - How did that work out for France? They were starting to learn German in Paris before the US came along. Pay for NATO or not!" "By the way, there is no country more Nationalist than France, very proud people-and rightfully so!" Trump wrote in a series of tweets, ending with "MAKE FRANCE GREAT AGAIN!" Asked about Trump's tweets, a key adviser to Macron said the French president had briefed Trump and his chief of staff during the Paris trip to reassure them that "that France is not about to make a choice between a European defence system and a multilateral approaches."